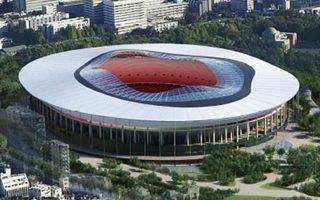 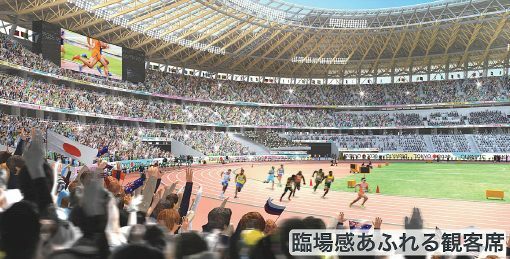 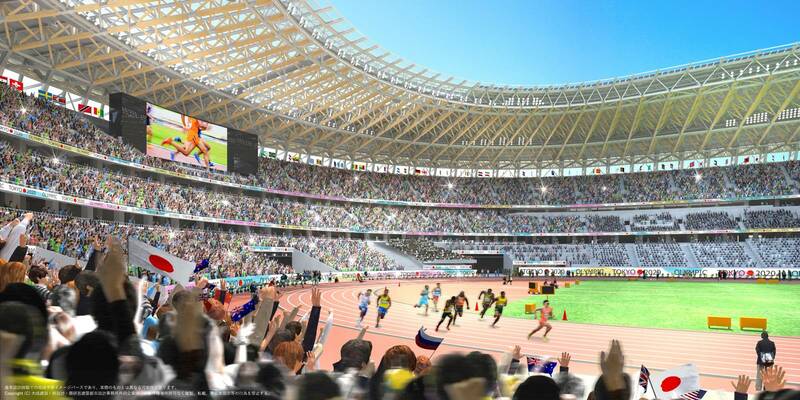 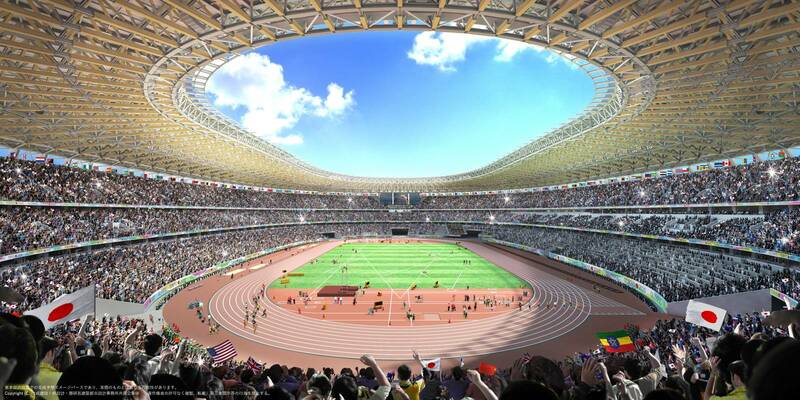 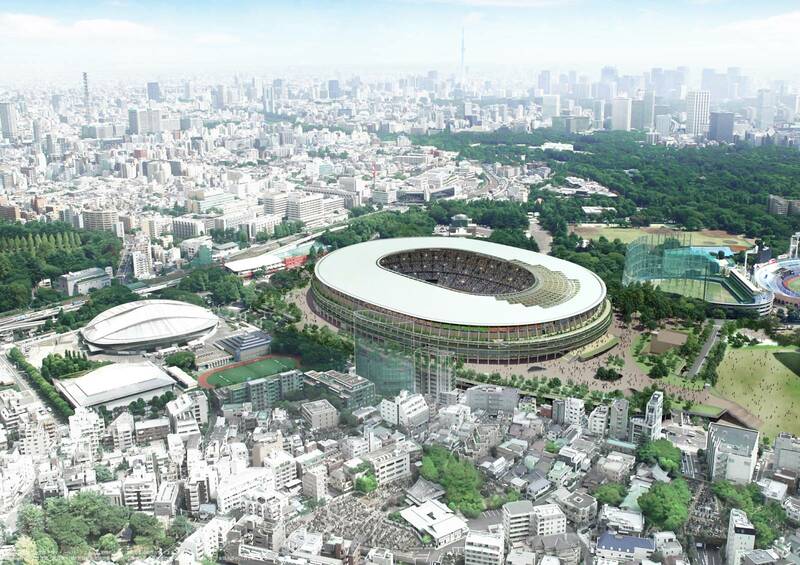 The concept became one of two finalists in repeated design (and build) competition for new National Olympic Stadium in Tokyo. 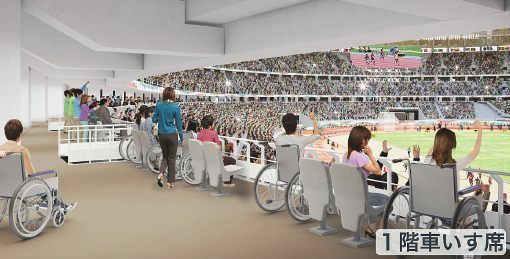 Compared to 2012 guidelines, this time the venue had to be scaled back both in terms of function (no retractable roof and adjustable stands), capacity (up to 70,000 instead of 80,000) and size (limited height and volume for smaller impact on surroundings). 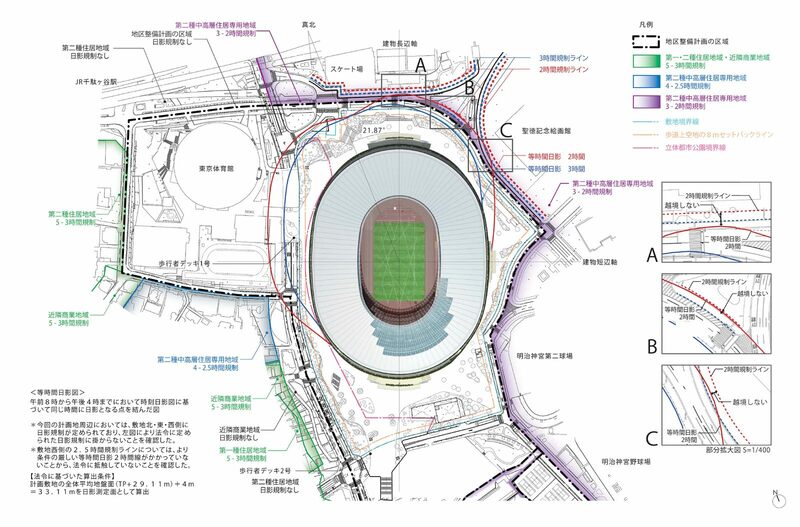 Also, the structure had to be simplified enough to allow fast construction, in under 3 years. 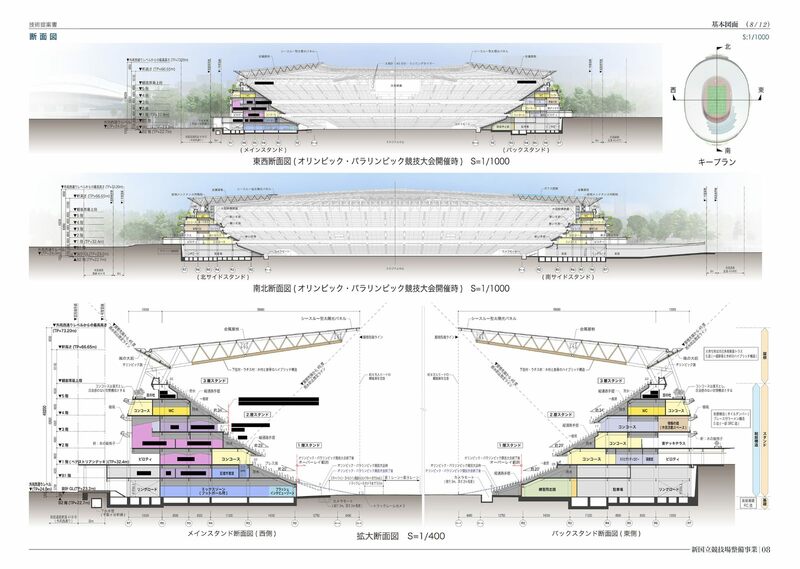 This option, nicknamed simply “A”, envisages construction of three-tiered grandstands covered by a simple and uniform roof structure, peaking at 50m in height. 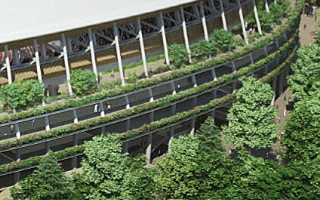 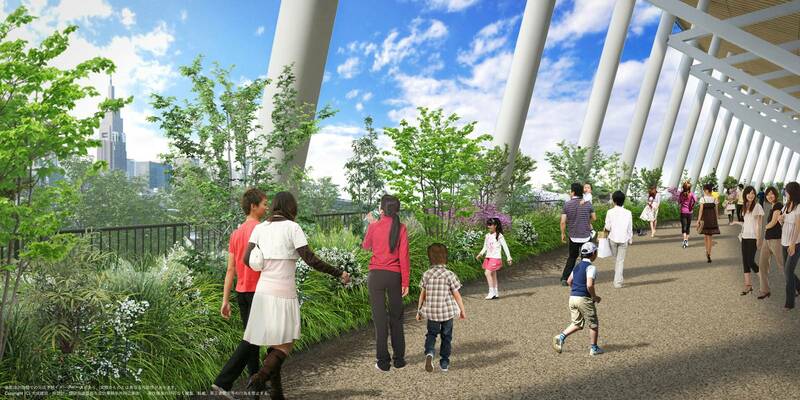 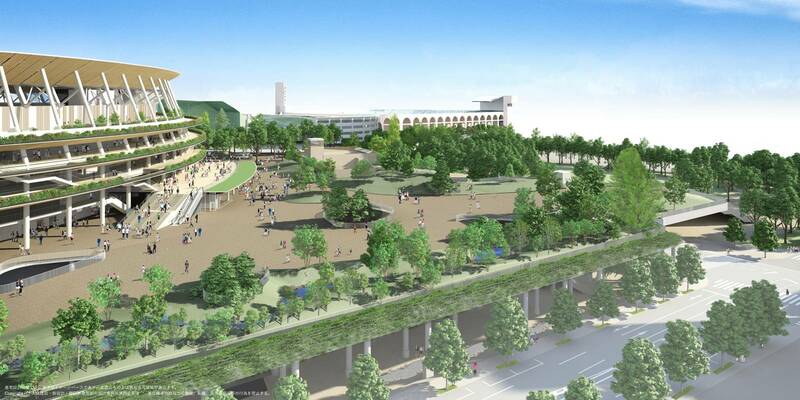 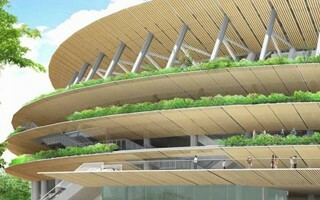 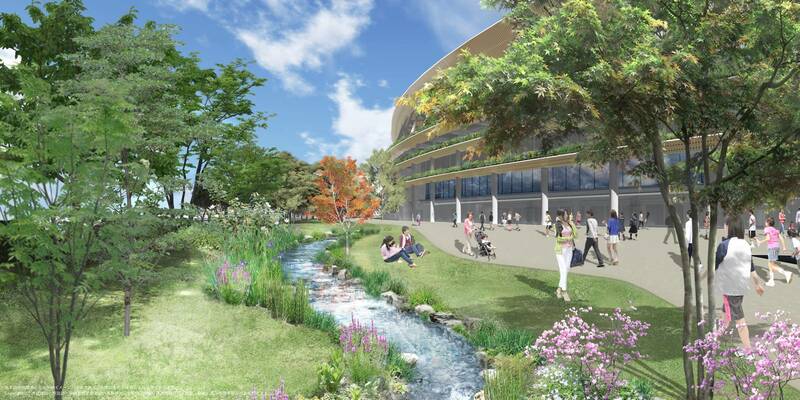 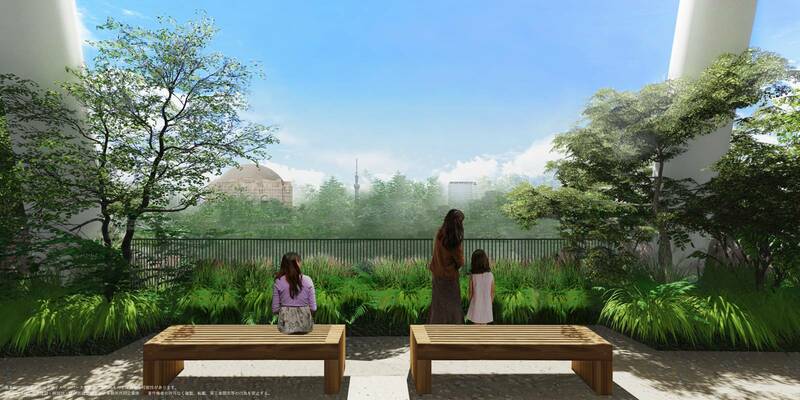 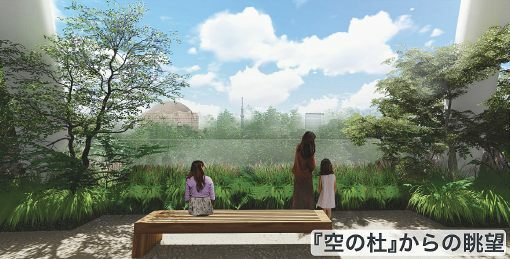 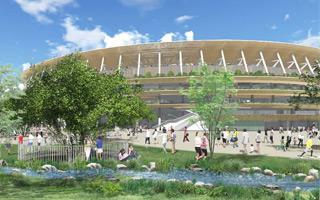 Nature is to play crucial role in the entire project, not only stadium surroundings. 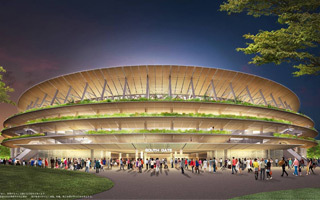 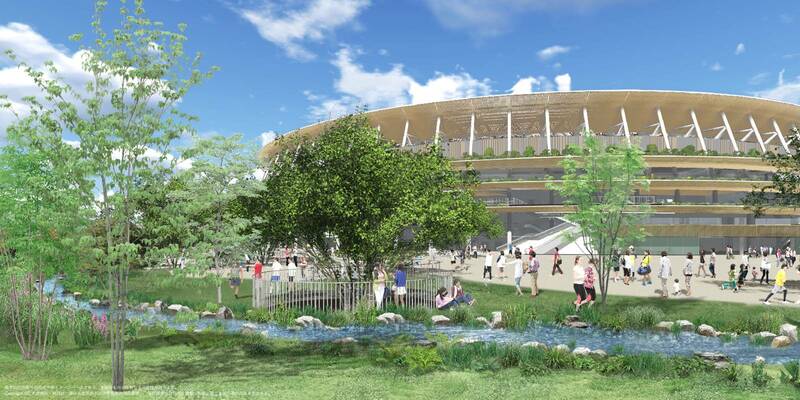 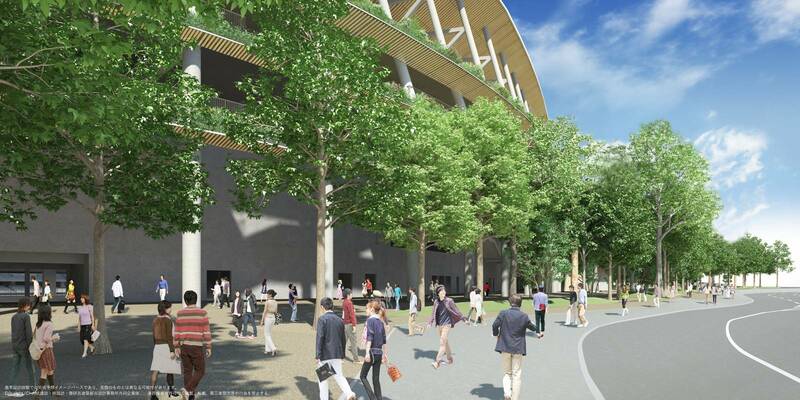 Within 30 years the venue would be surounded by tall trees, but smaller ones are also planned within the promenades, replacing a more opaque outer cladding. 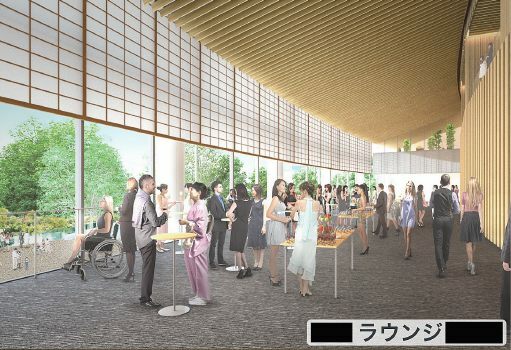 To soften the venue even more, extensive use of wooden in furnishings and decorative elements is planned. 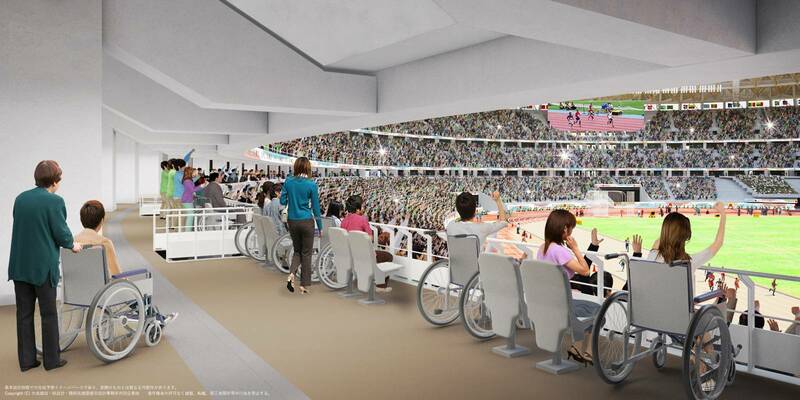 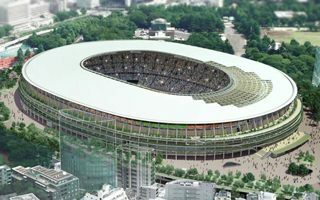 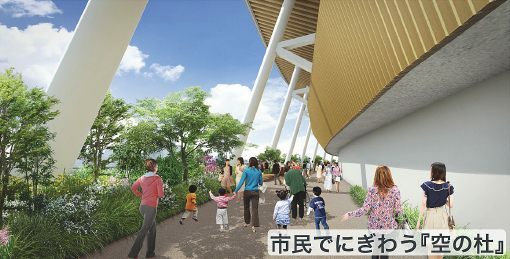 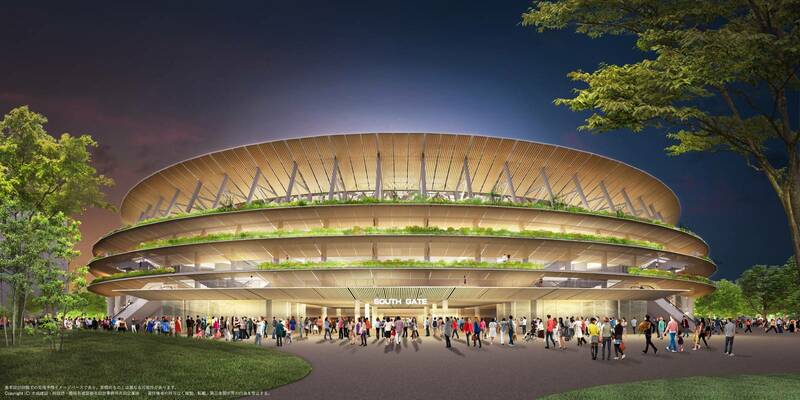 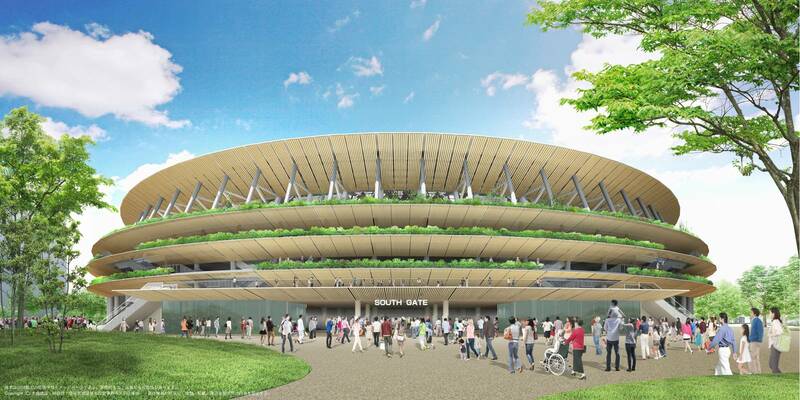 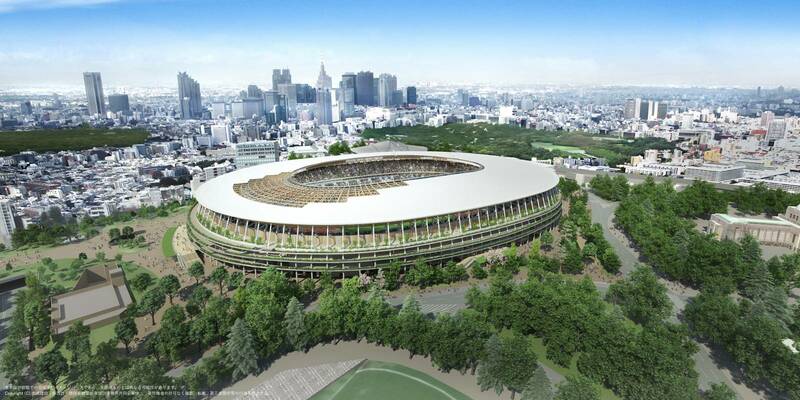 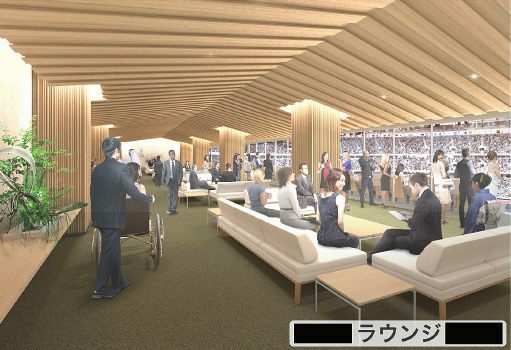 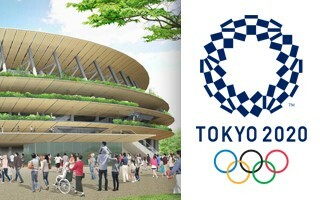 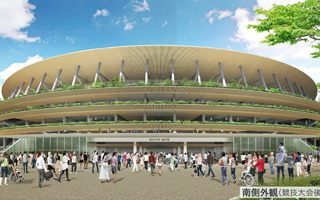 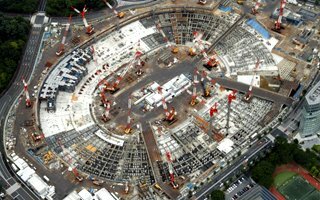 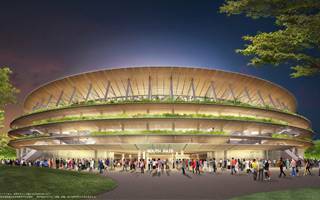 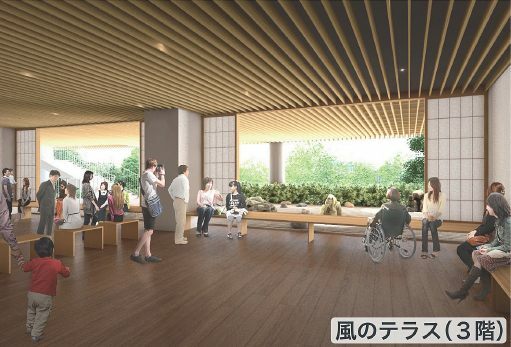 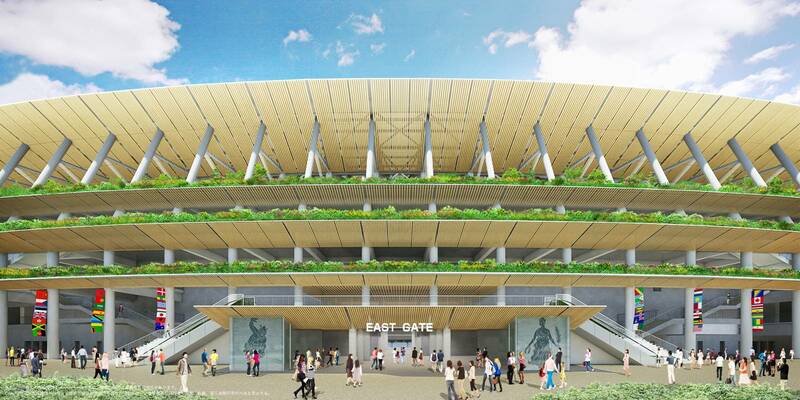 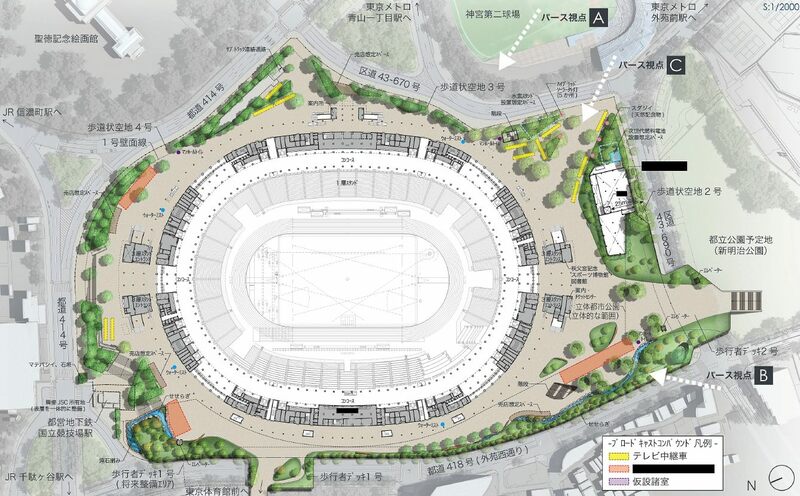 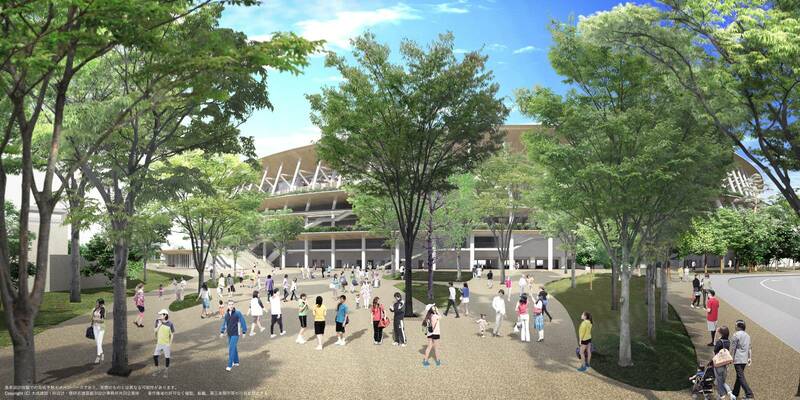 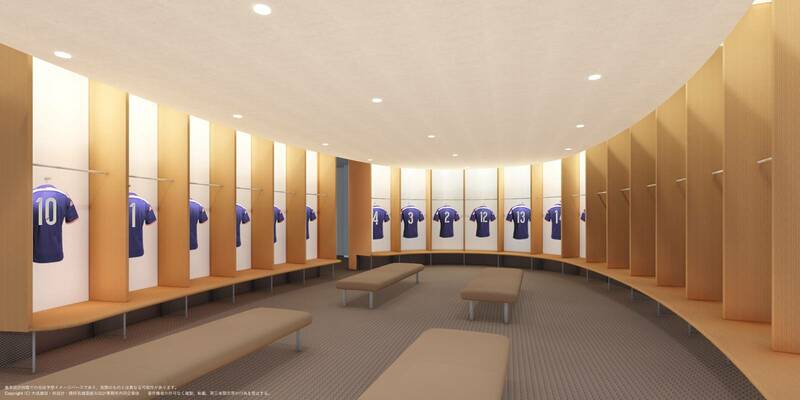 Delivery of the new national stadium in Tokyo is going as planned initially, though a slight price increase was confirmed. 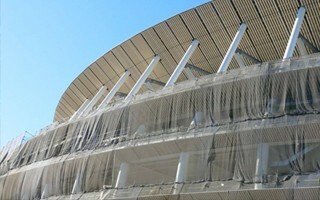 By this time next year official opening will be behind us.